This past week, I was in a Lyft. My driver was telling me about all of her ideas for side projects. She had ideas for a children’s book, an app that helps people find parking, and a more efficient way to package gifts. The problem was she was frozen by indecision. She had the ideas but she didn’t know where to start. This is what I told her. 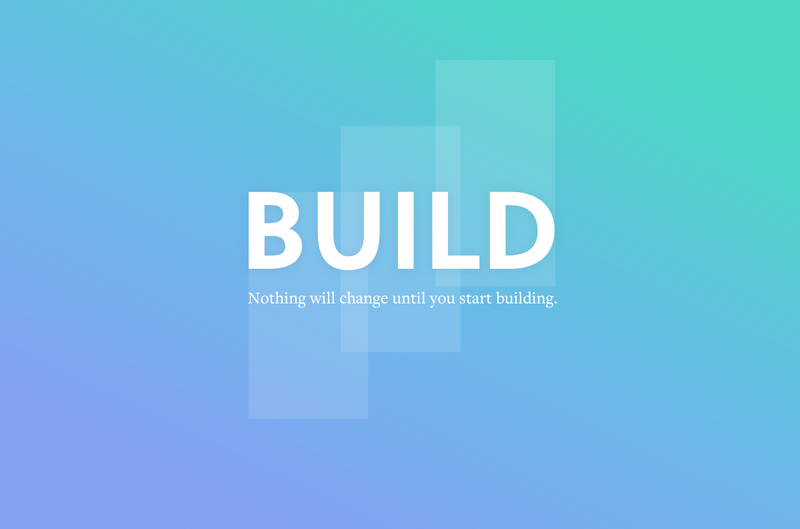 Start by building. Pick one project and do whatever you have to do to ship it. If you want to write a book, start with writing a page a day. If you want to build an app, start with some sketches. Anyone can do it. This advice applies to all creators. Once you start building and launching your projects, you won’t be able to stop. Building will become part of your identity. And even if your project fails, you’ll keep at it. The steps you take today will compound over time. Look at great product makers like Drew Wilson, Pieter Levels, and Sebastian Dobrincu. They don’t wait for the right opportunity. They build and ship weekly. In an interview on IndieHackers, Josh Pigford disclosed that before he built Baremetrics, he had iterated through a hundred failed ideas. 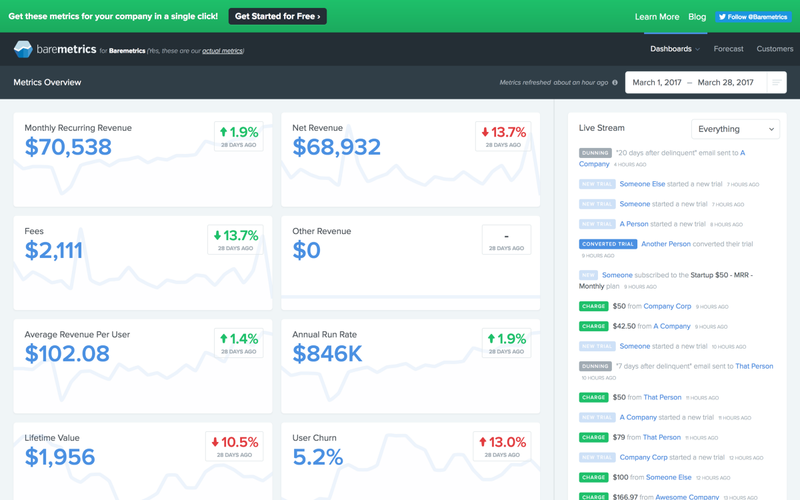 Today, Baremetrics makes over $60,000 in monthly recurring revenue. With that in mind, here are some tactics I’ve compiled from friends and acquaintances who are successful product makers. Early on, figure out the main goal of your project. If you want to break out of your usual design style, focus on the design. If you want to test a new framework for your front-end, focus on the code. If you want to acquire a hundred users, focus on selling. Define your goal early so you don’t get distracted and end up not achieving what you set out to do. Perhaps your project doesn’t become the next Snapchat, but by working towards your goal you will have honed the tools in your product-making arsenal. Little by little, you’ll be able to design, code, and sell faster and more efficiently. Sometimes product makers fail to ship because they lose motivation. Set small goals; meeting those goals will help you build momentum. Small wins will compound. Another thing you can do to stay on track is to be more public about your work. Share your progress online and with your peers. People love to see things like wireframes and will often times provide valuable input. One trick that I find particularly motivating is making bets with friends. I tell them, if I don’t complete a task by a deadline, I’ll give them a hundred dollars. For example, I might set my task to getting twenty people to pay me within two weeks of launching a project. Start by solving a problem. If you have experienced the problem yourself, even better. Ask your friends what kind of problems they experience. For example, I built YC Careers and AtomSpace to address the needs of one my friends who was having trouble applying to jobs and interviewing as a product designer. Overnight, YC Careers made it to the top of ProductHunt and AtomSpace booked $100 dollars from strangers within 6 hours of going live. The bigger the pain point you’re trying to solve, the easier it will be to find users. Also, analyze problem-solutions from multiple perspectives. Some successful ideas might seem like a solution without a problem. For example, Instagram doesn’t seem to solve any immediate problem. But it does. Instagram solves the need for friends to stay updated on one another. If this need is not met, then it becomes a problem. For further reading, John Carmack on Idea Generation and How to Get Startup Ideas are two great essays to get you started. Once you’ve identified a problem and come up with a solution, you’ll probably ask yourself if your idea is good. Plenty of seemingly bad ideas have turned out to be great businesses. For example, no one wanted to invest in Airbnb. Brian Chesky, one of the co-founders of Airbnb, detailed their rejections in his essay 7 Rejections. The only way to know for sure if your idea will work is to formulate a product hypothesis and run an experiment to test it. Talk to people and ask if they are interested in your solution. If you can get them to pay you before you’ve built anything, even better. When working on a project, reach out to people and ask for their help. You will be surprised at how many people are willing to pay it forward and help a complete stranger. Some of the best advice and feedback I have received came from reaching out to people with an email or a DM on Twitter. Also, when asking for help, be specific and prepare your questions. If you want feedback on a design, send the mockup. If you want feedback on your marketing strategy, detail what you have tried so far. Context is key. And if you don’t get a response, follow up politely. Sometimes the person you’re reaching out to might have genuinely missed your message. Build and launch your side projects. Use this process as a way to hone your craft so that when opportunity presents itself, you’re ready to take full advantage of it. Luck always favors the prepared. So next time you come up with an idea, act on it. Identify a problem, define your goal, stay on track, and ask for help. What are you working on right now? How can I help you? Leave me a note here or tweet them to me on Twitter. You can find me on Medium where I publish every week. Or you can follow me on Twitter, where I post non-sensical ramblings about design, front-end development, and virtual reality.